Facility amenities are listed below. If you want to see locations of facilities or prefer to see the map version of amenities please click on tab above. You can see individual campsite amenities by zooming the map in to the sites and clicking on them. Beach Campground: Flush restrooms with hot showers, electricity in every site, water in every site, fire pits in every site, picnic tables in every site, and shade shelters in sites 1-15 and 18-24. Sewer in sites 1 and 18. Sites that are closest to the water include 3-15. 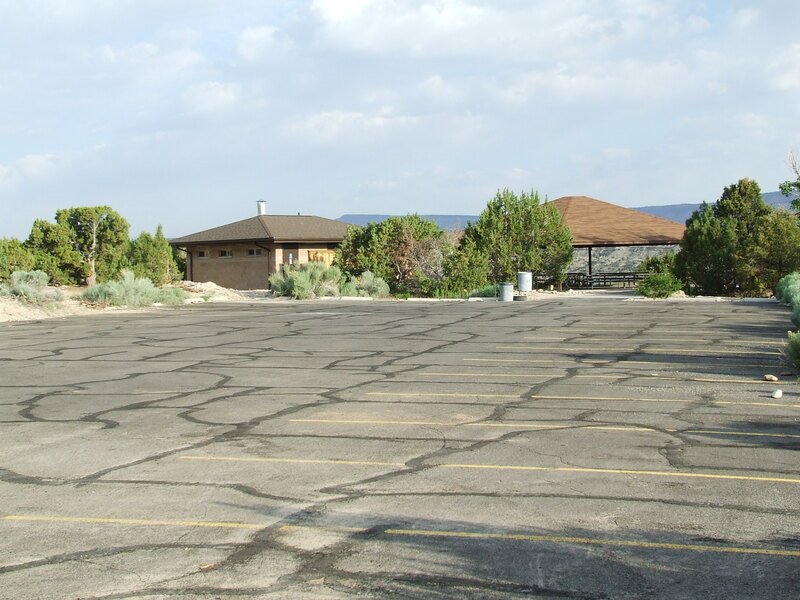 Mountain View Campground: Family style flush restrooms with hot showers, electricity in every site, water in every site, fire pits in every site, picnic tables in every site, and shade shelters in sites 9-22 and 28-41. Sewer in sites 24-27. 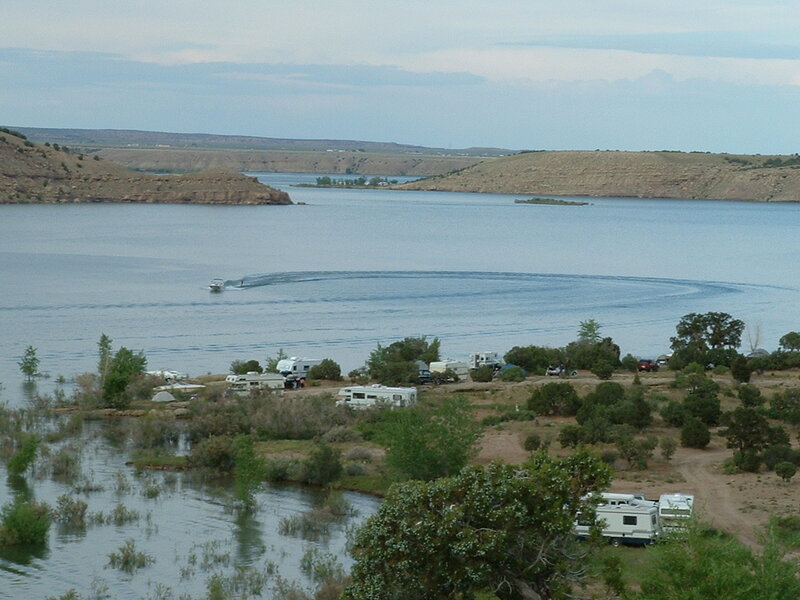 Sites that are closest to the water include 6-20. Group Area: Flush restrooms with hot showers, five RV sites with electricity and water, large group fire pit, two large barbecue grills, picnic tables under a large pavilion, large parking area, and tent pads. Indian Bay Campground: 25 partially developed sites with a level parking area, fire pit and picnic table. Three vault toilets are dispersed throughout the campground. Rabbit Gulch Campground: Primitive campground without individual sites. Campers are allowed to camp where they desire and may or may not have a picnic table. Three vault toilets dispersed throughout the campground. 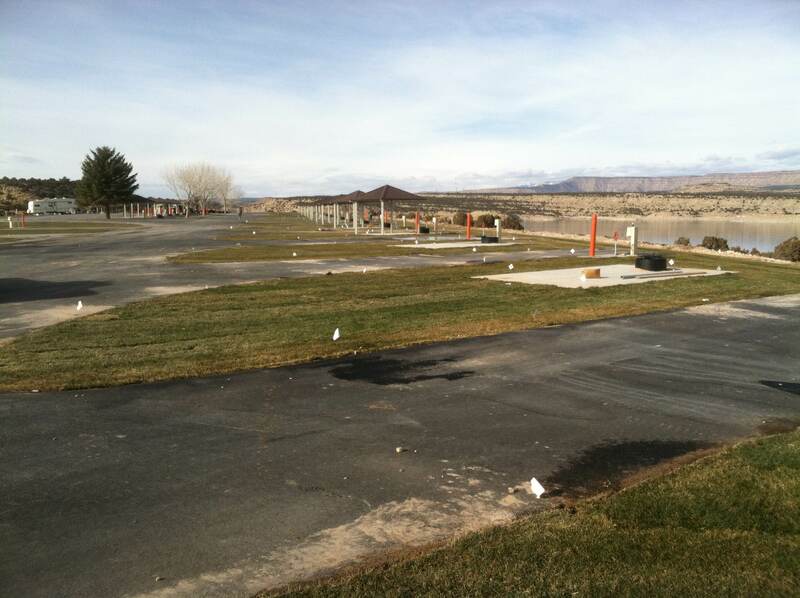 RV sewer dump is provided at entrance but does not have water. Juniper Point: Primitive campground without individual sites. Campers are allowed to camp where they desire and may or may not have a picnic table. Two vault toilets dispersed throughout the campground. Knight Hollow: Primitive campground without individual sites. Campers are allowed to camp where they desire and may or may not have a picnic table. Three vault toilets dispersed throughout the campground. Boat Ramp/docks: One large 4-lane cement boat ramp with a wedge dock in the middle, two large courtesy docks (one has eight wings and the other has four), eight overnight slip rentals on courtesy dock, lighting, concession building and a fish cleaning station.